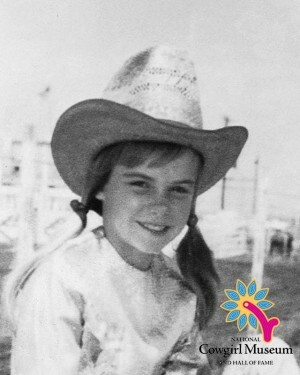 In 1968, Ann became the youngest Barrel Racing Champion in WPRA history. Ann began running barrels before she started kindergarten, placing in her first open when she was five. Ann and her twin sister got their first barrel horse when they were seven. At only eight Ann was one of the youngest IPRA members and consistently outran more experienced racers. Called “Annie the Okie,” she held such a substantial lead in competition that when a car accident ended her career she won the GRA barrel racing championship posthumously.